1. First read this announcement from Safeminds and EBCALA about the meeting here. Use the links contained therein to determine, in particular, if your Representative is on the committee and to find your Rep in general. You need to know whether your Rep is on the committee or not. There are several action items you can act on in this link that are not listed in this post. Check it out. 2. Optional but helpful: Find out how many kids with autism are being served in your local schools by calling the Special Education Department in your district and even other districts that your Rep serves. We all know all governmental issues are driven by money; your Rep needs to understand the economic impact of autism in his/her district. 3. Read this article here wherein the new head of the American Academy of Pediatrics calls autism an “epidemic.” This word is important and our Reps need to understand that mainstream medicine is more than concerned, and something needs to happen NOW. 4. Find other parents in your district and tell them what’s going on. Help them with what to say to your Representative. Organize a meeting with your Rep and bring all the parents you can! Remember that this is not a partisan issue, nor is it a meeting about causation or treatment, so even if a local parent does not share the same views on autism as you do, they still need to participate in this ACTION ALERT. The more requests for attendance Reps get from their constituents, the more likely they are to attend. 5. Call/fax/email, whatever you can do. Of course, a staffer will answer the phone. Explain why you are calling, ask if their office has a health staffer you can speak to, and ask what it will take to talk to the Rep personally. If you can manage a face-to-face meeting, make an appointment with their scheduler to meet the Rep in person when he or she is home for Thanksgiving. The Rep may even agree to a Skype meeting! Don’t be afraid to take your child/children with you. 6. If your Representative is newly elected and hasn’t been sworn in, still find him or her and explain what is going on. New Reps may not be in DC for the meeting, but it’s the perfect time for you to start a dialog. New Reps are often the best listeners. They need to understand that autism is a big issue and that you will be in touch with them about it consistently in the future. 7. Get to the meeting if you can. Let us know in the comments here or on our Facebook page (link) if you are going! 8. Take pictures of all interactions with your Rep and at the meeting if you attend! Send them to us! And REMEMBER: Representatives depend on their Constituency to be elected! They work for you! Don’t be afraid to communicate with them, you are their BOSS! And effective bosses communicate clearly, respectfully and meaningfully! Let’s do this! We may not have this chance again for a long time! For more blogs by Blaze click here. This entry was posted in Blaze TMR, Blogs by Thinking Moms' Revolution and tagged autism, political action, TMR. Bookmark the permalink. 3 Responses to ACTION ALERT FOR ALL THINKERS! I emailed every representative from Florida, posted a link to safeminds.org, asking all my friends to send an email to their reps and forwarded that same link to all the mothers from the 3 support groups I co-facilitate. Let’s get the word out!!! Sent a fax to Congressman Dr. Tom Price of the 6th district of GA. I couldn’t find a way to send an e-mail, so went ahead and republished this important notice on Gaia Health (http://bit.ly/W3seVD). 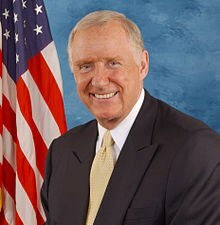 The more people know about Representative Burton’s hearing, the better. Of course, it has links back to the original and an extra comment to urge people to get involved. Please let me know if you’d prefer that it not be posted on Gaia Health.